This article contains affiliate links, However, all opinions are mine. Teachers work hard and teaching can be exhausting emotionally and physically. They have a lot of time off, but depending on where you work, salaries may not be very high. If you are a teacher looking to make extra money to gain financial freedom, for vacations or retirement, here are some ideas. The good news is that some of these ideas will generate income for you for a long time, passed your initial work. Online courses are very popular right now. A course can help many people, including other teachers and it can help you create income streams for the future. You don’t need a blog or a website to sell your course. If you have a following on social media or otherwise, you can sell your course. Don’t think that you don’t have anything to offer, you do. Teaching is one of the few careers where you develop lots of soft and hard skills. Brainstorm all the things you already do as a teacher (write them down) and you will come up with some good ideas for a course. On the down side, writing a course and selling it online will take time. But, think about the income you can generate once it is done. Since this is your product, only you can earn income into the future from its sales. Three popular platforms to make and sell a course are Teachables, Thinkific and Udemy. The way these platforms work is; you sign up, create your course and put it for sale. They will retain a fee from every sale for the platform. If you want to create a website to sell your course, you can host it with Bluehost using my affiliate link for $3.95 a month. Open an account and actively participate on Pinterest. Pinterest is not a social media platform, it is a search engine, just like Google. However, on Pinterest people are searching for very specific topics and how to do posts. The audience is over 90% female. The topics most searched are DIY related, teaching materials is one of these topics. Pinterest will help you a lot in generating traffic to the things you sell to make extra money. 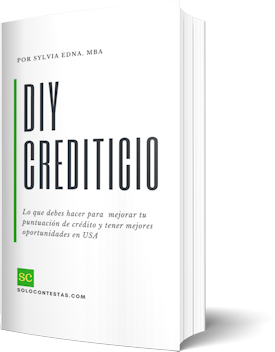 Familiarize yourself with this platform to make money with DIY and tutorials. The internet depends heavily on content and blogs are the main avenues to deliver this content. I am a huge proponent of having your own blog. The reason is that I have this blog and other content for the last 10 years and have seen the benefits. It is a passive income driven business and it’s an asset. There is a lot of work going into a blog at the beginning, but once you learn the ropes it becomes easier, much easier. You can work on a blog at your own pace. There are a lot of resources online to get you started. I can tell you it is a real business, as long as you treat it like a business. You can use my affiliate link to Bluehost to start your own blogging business or a website for as little as $3.95 a month. When I first started, I used it as the blog host and it was great for starting out. Mainly, Bluehost makes it very easy to hook up your blog to Word Press (the writing platform). For an example of a successful teacher blog, check out MathGeekMama. I recommend more making your own blog because you retain ownership and control. But, if you need the cash you may write for other blogs. The downside is that this is a one time payment and you won’t collect residual income, but the site owner will. If you don’t want to build a site, there are lots of writing gigs around. Here are some of the places looking for freelance writers; ProBlogger Job Board, Media Bistro, BloggingPro Job Board. Many smaller blogs pay for content, you can contact the site owner about opportunities. You can also find teaching gigs at VIPKID. There you can teach English to children all over the world and earn an hourly rate. 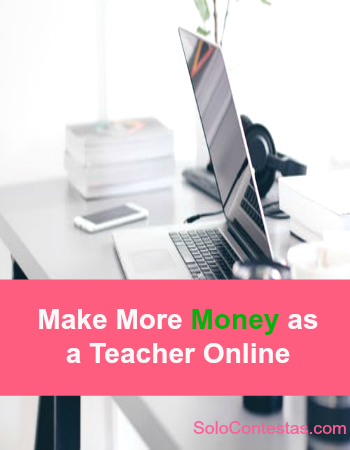 This is one of the easiest and more popular option for teachers to make extra money. Creating lesson plans is something every teacher already does. Teachers can sell the plans to other teachers and to parents who want to help their children succeed in school. Teachers Pay Teachers has been featured on many news outlets, here is an article on Business Insider about the business and here is another one about a teacher making $1m selling lesson plans. Teachers Notebook and Etsy are two other places where you can sell teaching material online. Virtual assistants have their own businesses, generally very flexible. A virtual assistance helps with technical stuff, writing, running social media accounts and other blog’s activities. You can set your own rates and schedules as a VA. Blogs and websites of all sizes and scope use virtual assistants to run their businesses. If you don’t have your own Virtual Assistant business, you can find gigs on sites like; Upfront, Indeed and Freelance.com. You can also use social media platforms and Pinterest to find VA work for your skills and schedule. I recommend doing what you enjoy most to make more money as a teacher. I highly recommend the choices that will provide you with passive or residual income. These options are the ones where you create content and become the owner of it. Selling a course, having your own blog, selling ebooks are some of the best alternatives to make extra money. Bluehost will host your blog or website for $3.95 a month.